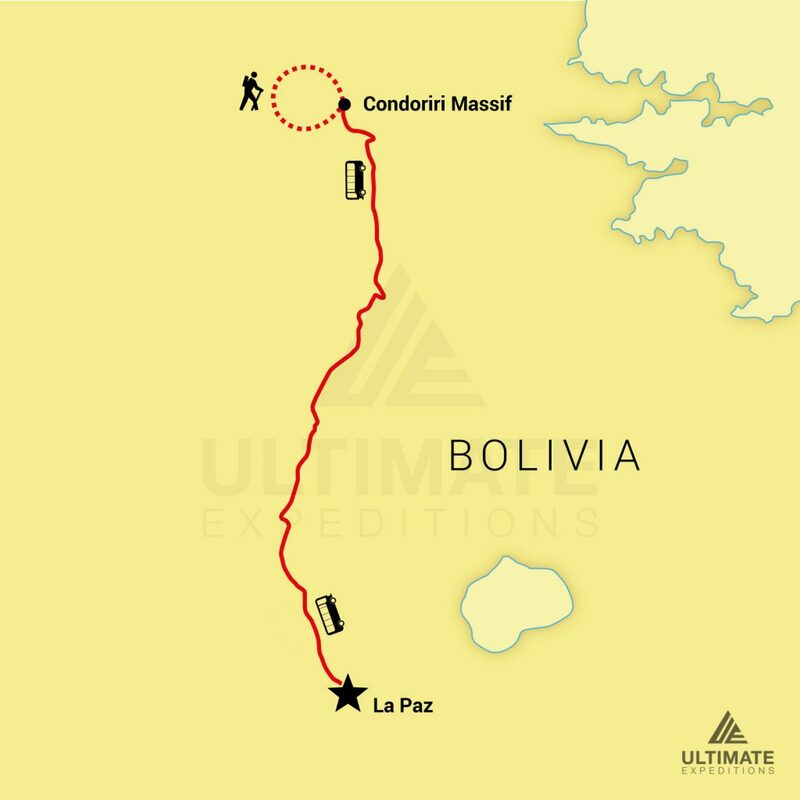 5 Day Condoriri Massif Climb | Ultimate Expeditions | The Best Adventures on Earth. 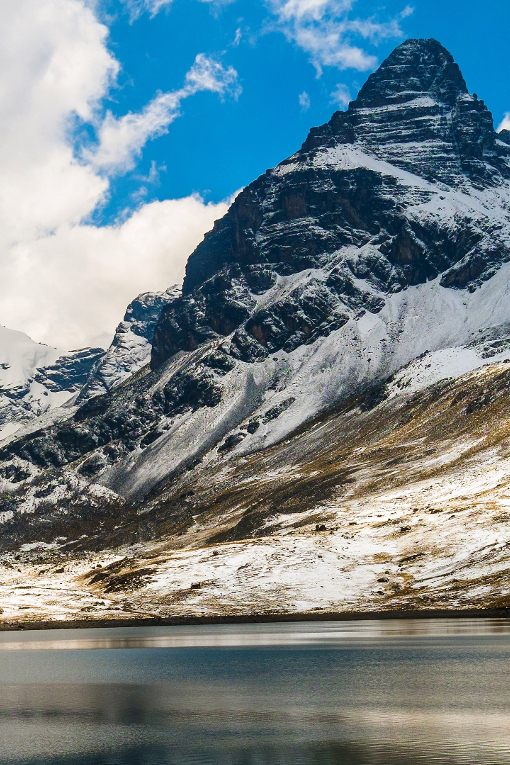 The Condoriri massif is a cluster of thirteen mountains that soar more than 16,200 feet above sea level, the tallest peak reaching over 18,500 feet. Cabeza del Cóndor or “head of the condor,” is the regions highest summit and is flanked with wing-shaped ridges on either side, its name given based on its resemblance to a condor with outstretched wings. 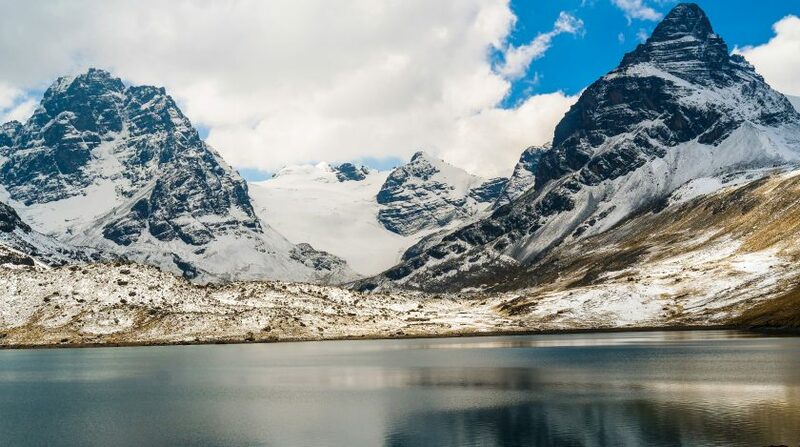 The Condoriri climb is among the most beautiful in the Cordillera Real and the route leading to the head is a diverse combination of a glacier trek, technical climb, and an exposed ridge to the summit. 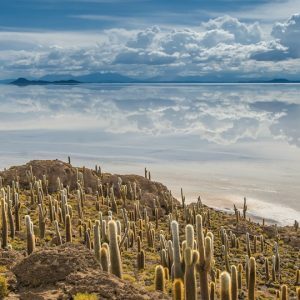 This climbing adventure will have you summiting three peaks in the region, Pequeño Alpamayo which sits at 17,618 ft. and is the second most popular climb in Bolivia, Pico Ilusion is at 17,487 ft. and the summit of Cabeza del Condor rests at 18,530 ft. 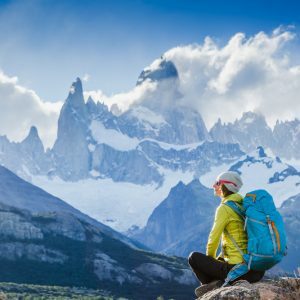 Ever changing views and three exciting peaks to conquer make this an unforgettable trekking/climbing experience. 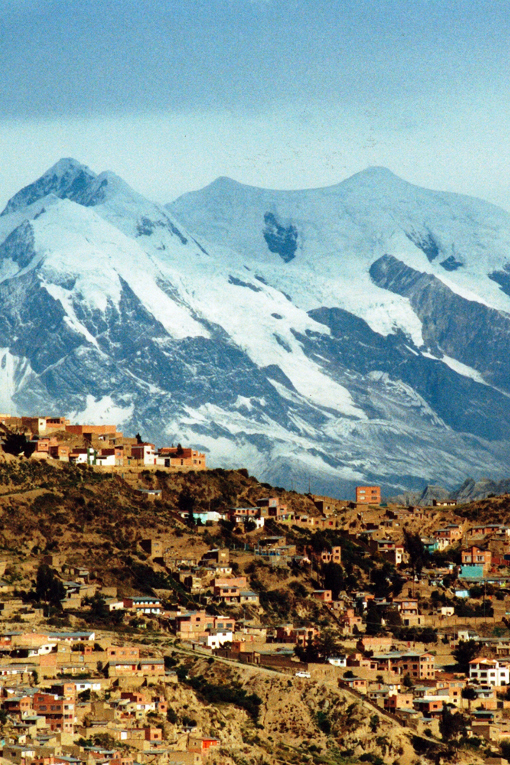 We will pick up from your hotel in La Paz and drive approximately 2 hours to the village of Tuni. Here we will begin our 3-hour trek to base camp and enjoy stunning views of the mountain range as we make our way along the trail. Base camp is located in the foothills of Condoriri and once there, we will have free time to enjoy the views, eat dinner and relax. Our day begins early around 5am, with a short trek towards the glacier where we will put on crampons and rope up. 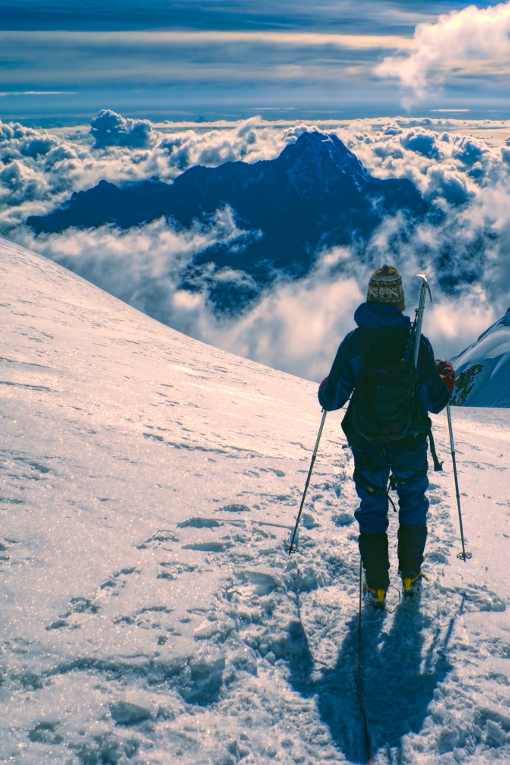 The route ascends Pico Tarija (17,388 ft.) then descends some 230 feet before reaching the ridge of Pequeño Alpamayo. After summiting Pico Tarija, we will take a quick rest before descending a rocky trail then climb the ridgeline up to the peak of Pequeño Alpamayo. Here we will enjoy the surrounding mountainscapes and take pictures before returning to base camp via the same route. Once at camp we will enjoy dinner and rest for the evening. Another early morning start as we head towards the summit of Pico Ilusion from base camp. The approach is diverse giving us the opportunity to practice different skills, which helps in preparation for the Cabeza del Condor summit the following day. Return to base camp on the same route for dinner and rest. Today will be strenuous as we head towards the Cabeza del Condor. The ascend begins up a scree slope until we reach the glacier; after entering an ice canyon the climb becomes more technical and finishes with an exposed ridge climb to the top. 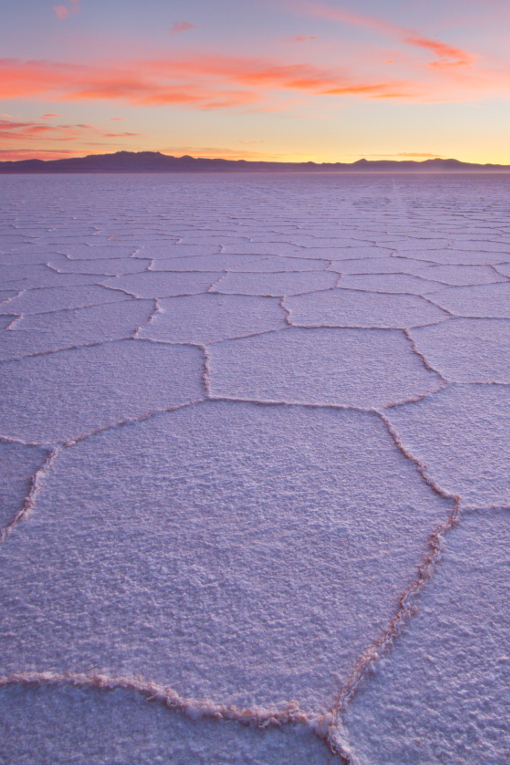 Once at the summit we will take a short break to enjoy the stunning views of the Bolivian Andes and then follow the same route back to base camp. We will be climbing for roughly 7-14 hours today. On our last day we will break camp in the morning and hike back to Tuni, where our vehicle will be waiting to take us back to La Paz.